Dakesis to support Freedom Call! 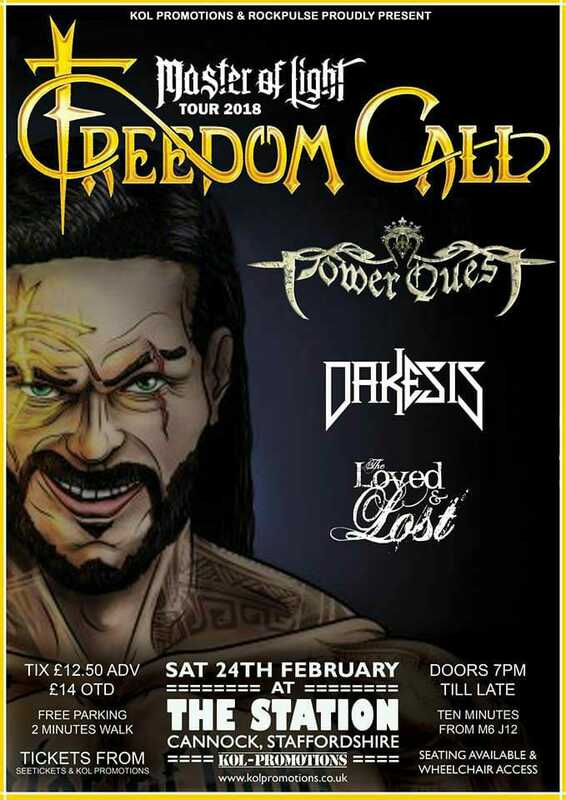 We’re thrilled to announce that we will be supporting German power metal legends Freedom Call at The Station in Cannock on the 24th February 2018 as part of their Master of Light tour! Also on the bill are our good friends in Powerquest and The Loved and Lost – an amazing line-up for any fan of melodic metal! Previous Post: UK Tour Update – Three New Dates Added!